Alvis Speed 25 open tourer, year 1939. 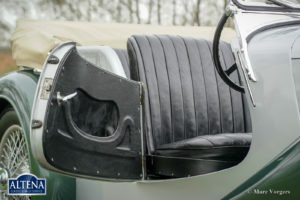 Chassis number 2013X. Colour silver metallic over green metallic combined with a black leather interior and black carpet. 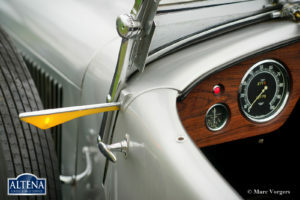 Pale brown hood and side-screens. 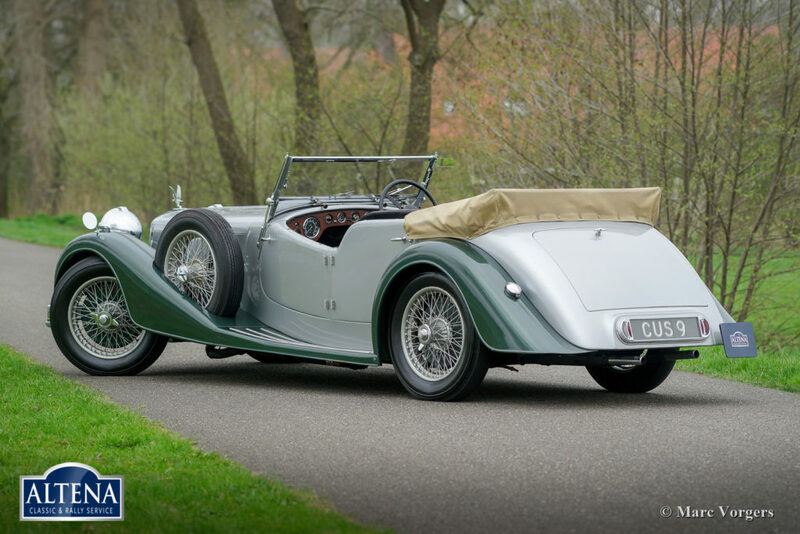 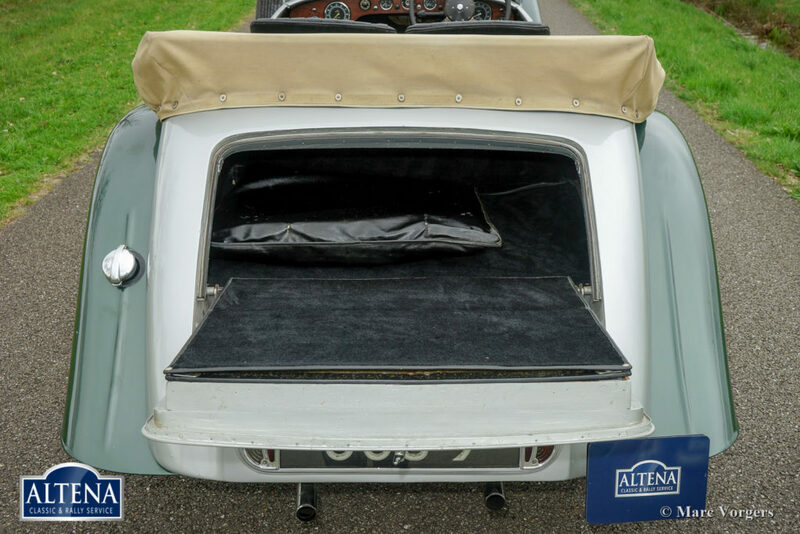 This wonderful Alvis Speed 25 is fitted with a gorgeous open tourer body by Charlesworth of England. 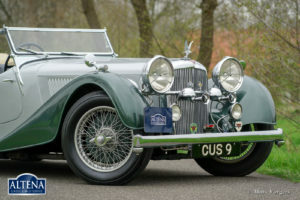 This fine automobile was delivered new (in a batch of five cars) to the Glasgow police department in Ireland. 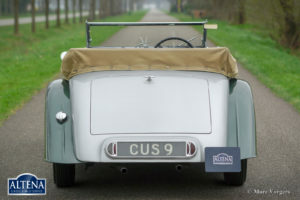 The original ‘CUS9’registration is still on the car. 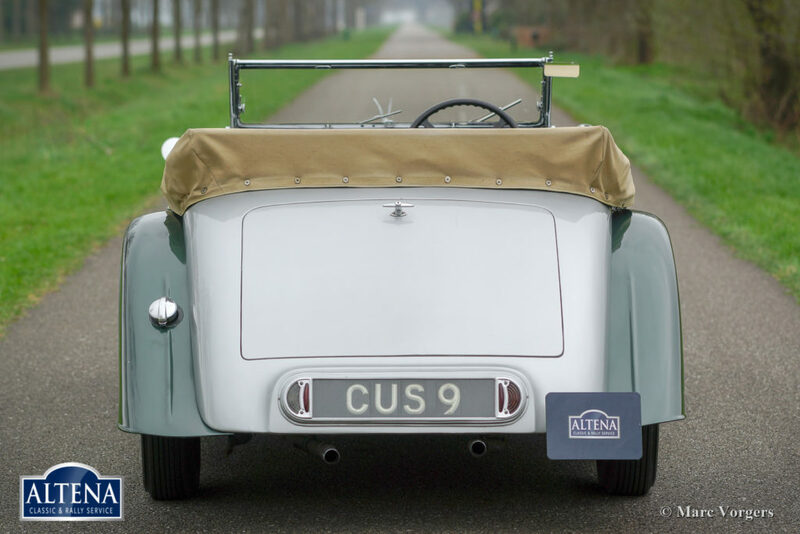 In the year 2010 the automobile was imported from the USA to the Netherlands. 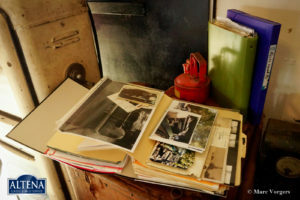 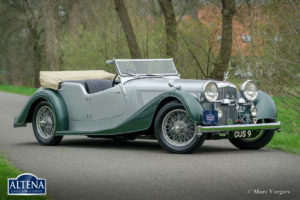 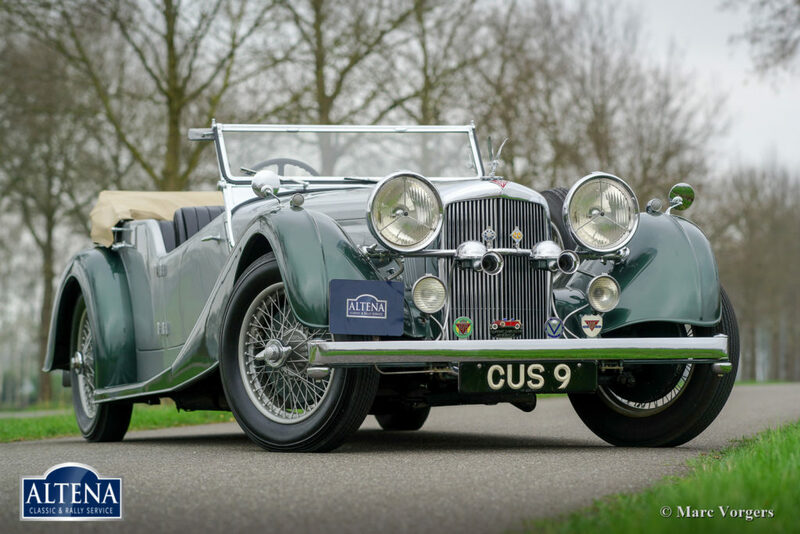 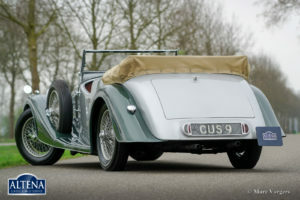 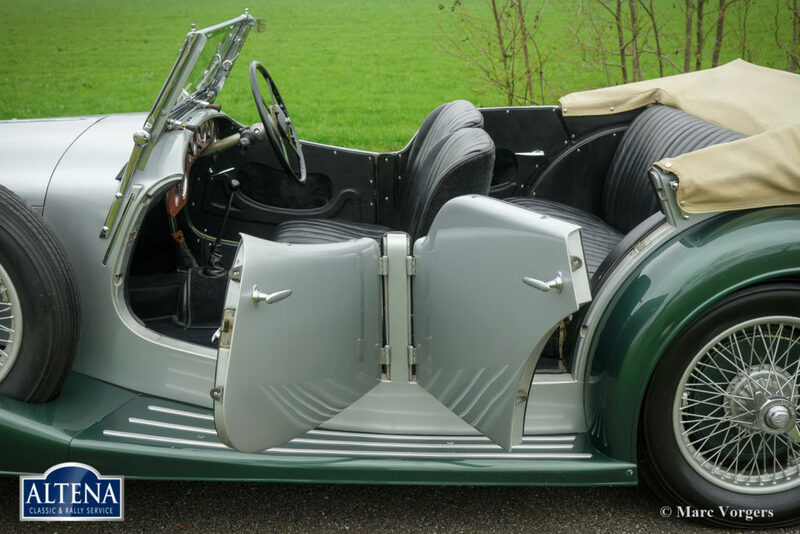 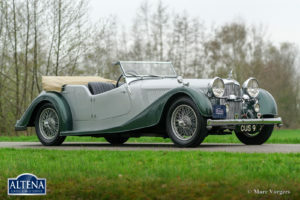 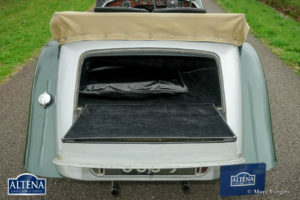 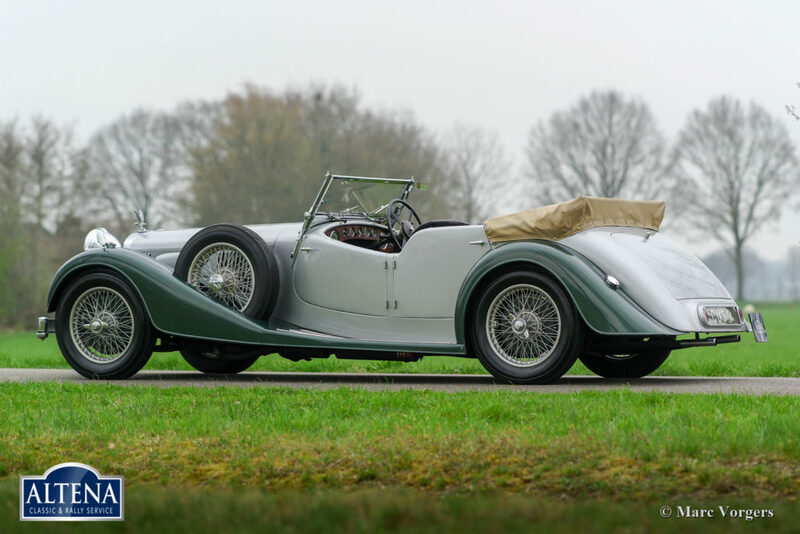 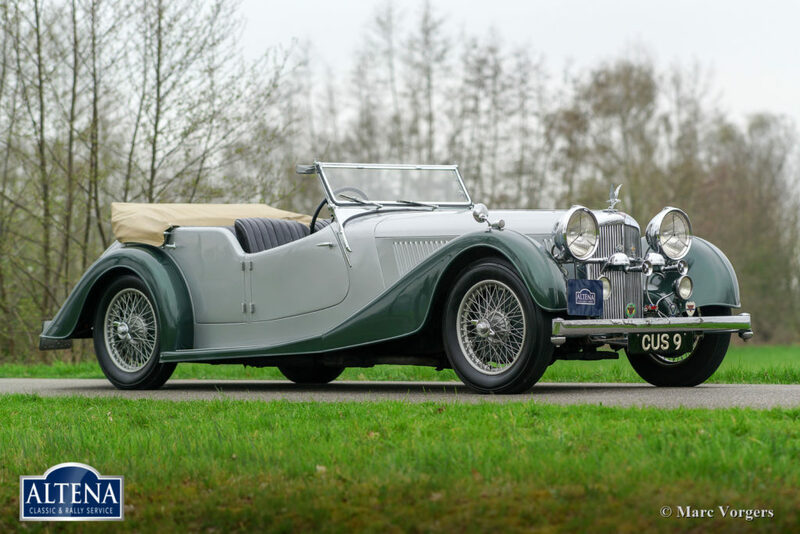 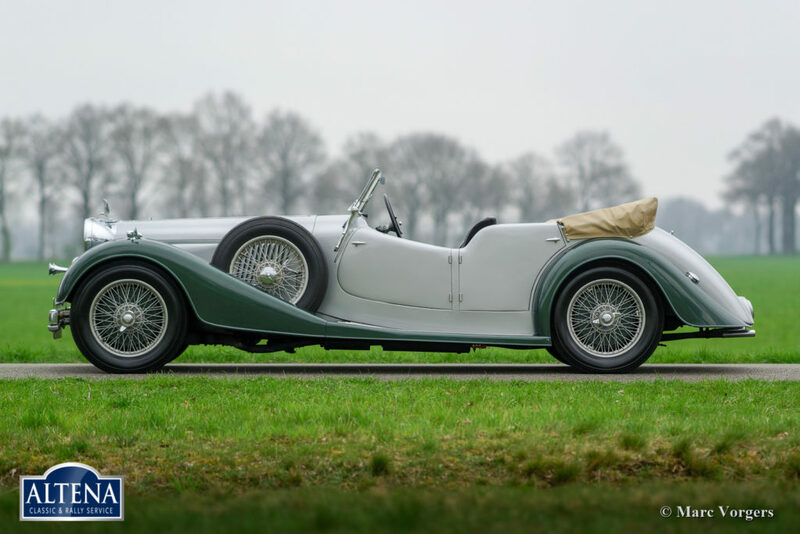 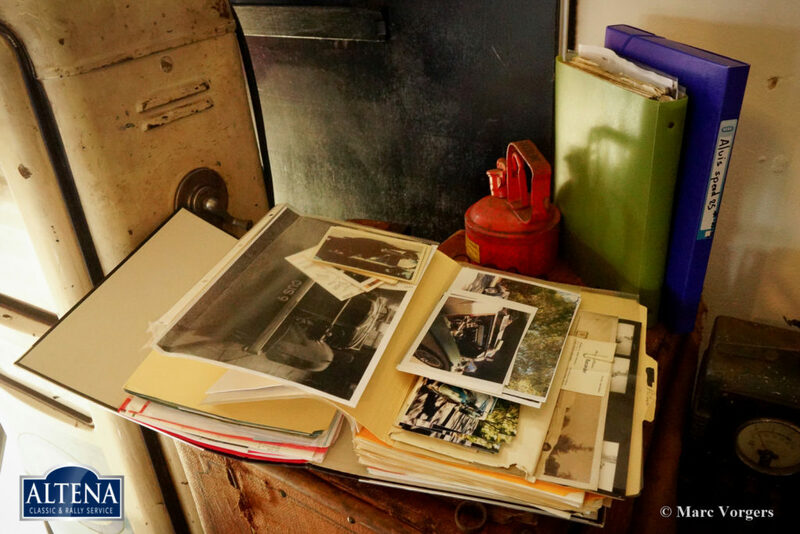 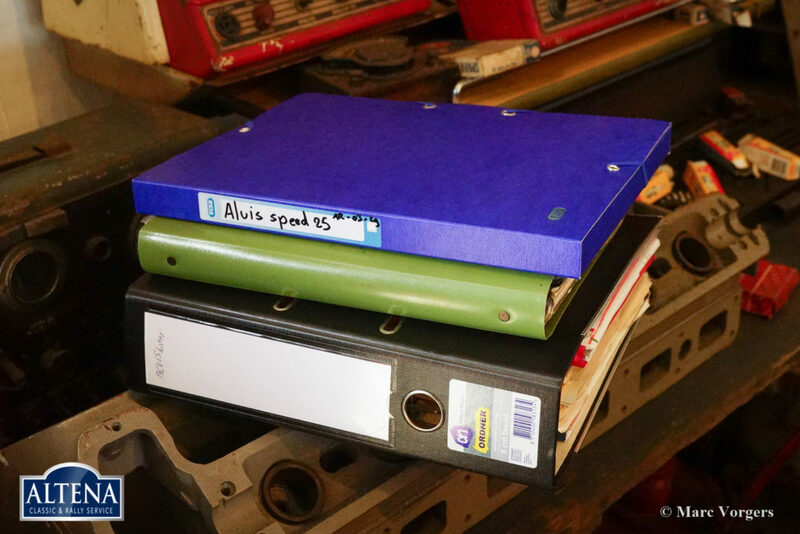 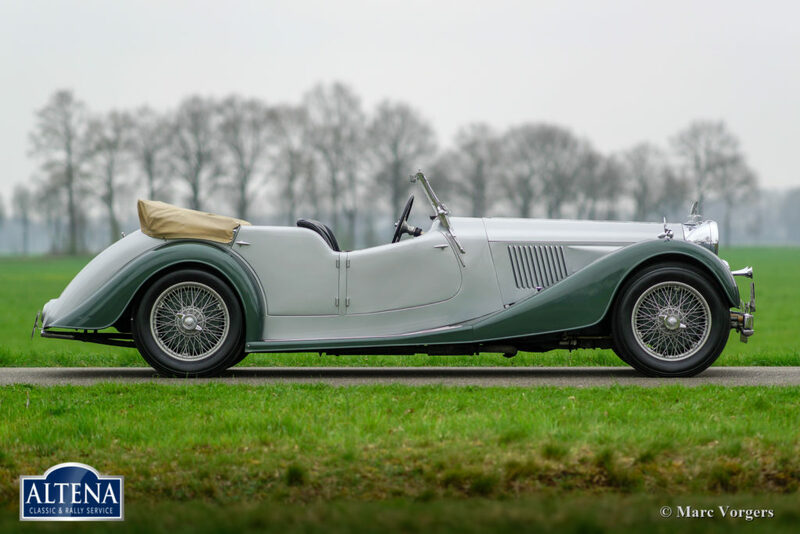 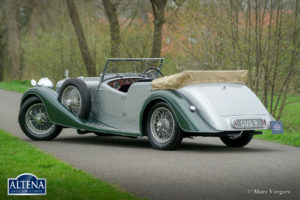 This Alvis Speed 25 comes with a complete history file with many photos, documents and invoices! 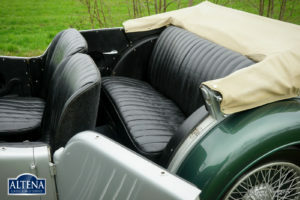 The automobile is in an excellent condition with a very nice vintage patina and the car drives delightfully! 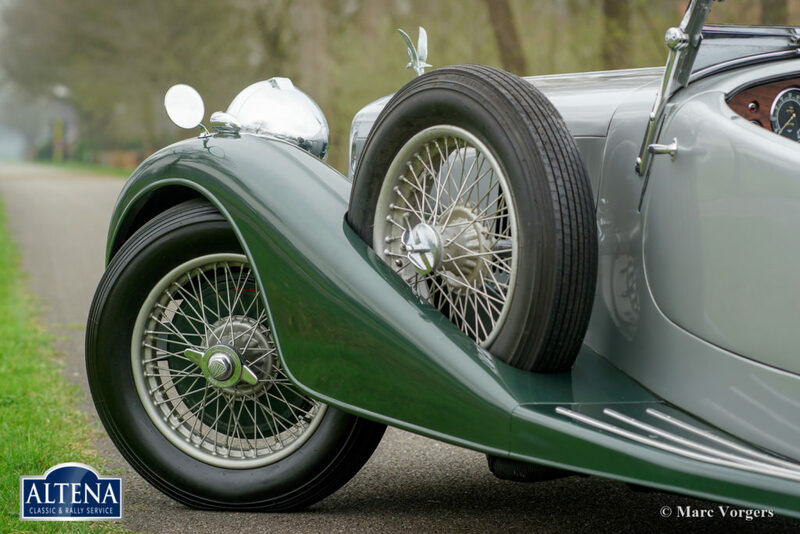 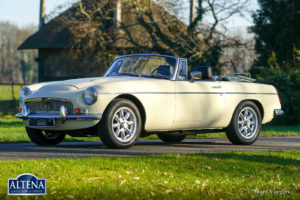 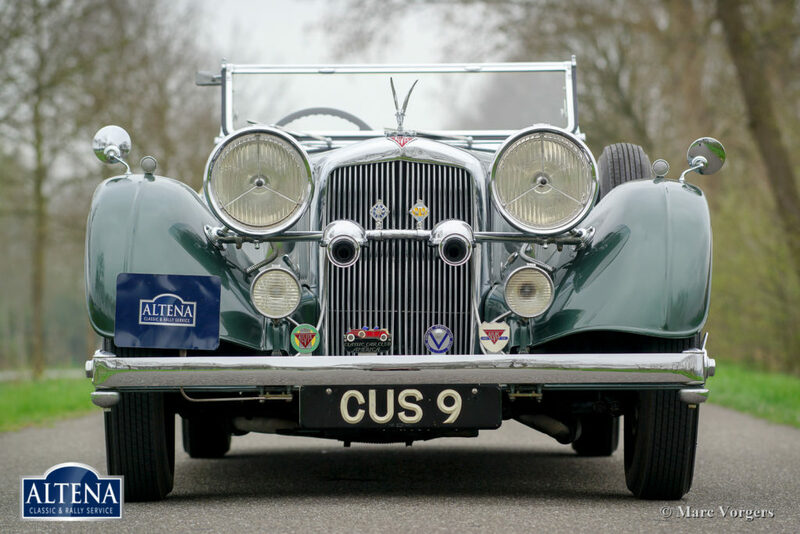 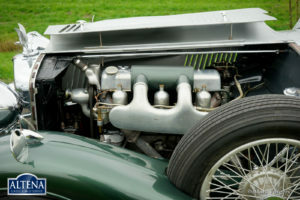 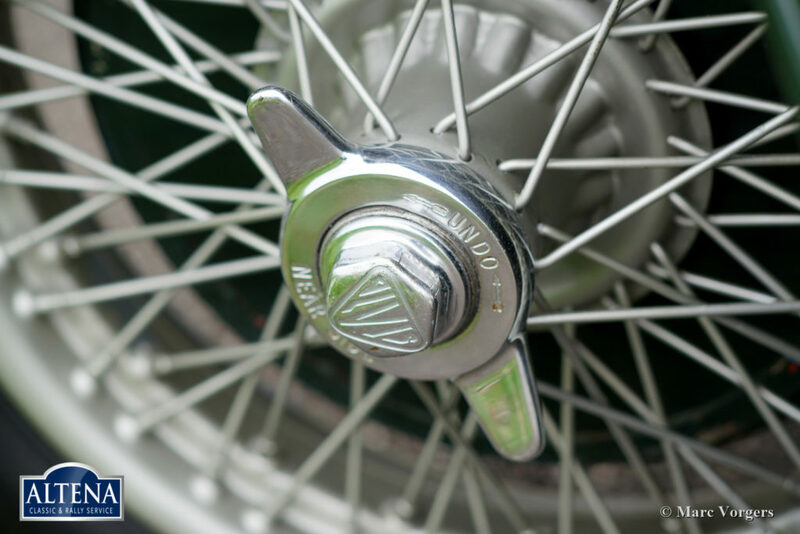 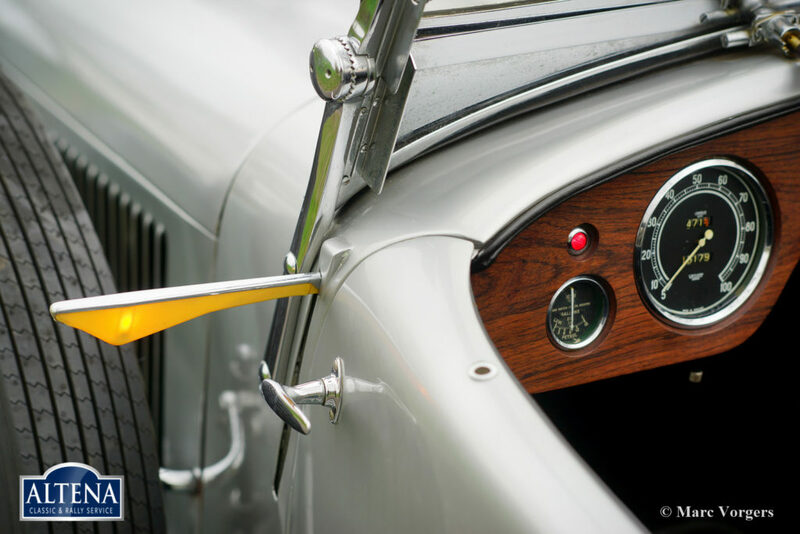 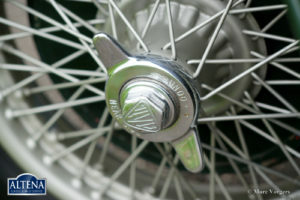 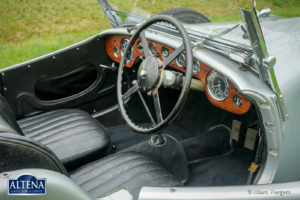 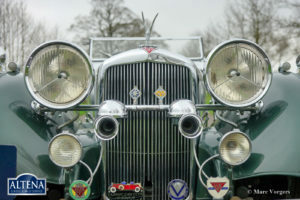 Alvis was a true engineering firm and they built high quality cars. 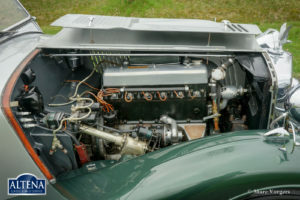 Their quality standards were so high that Alvis developed and manufactured many parts by themselves, where other manufacturers sourced these parts (gearboxes, dynamos etc) from other parties. This fine machine features a smooth in-line six-cylinder engine delivering 106 bhp which propels the automobile to a top-speed of over 100 miles per hour (160 km/h+). 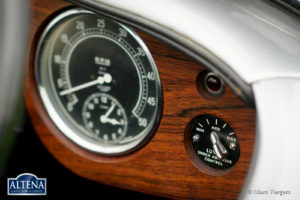 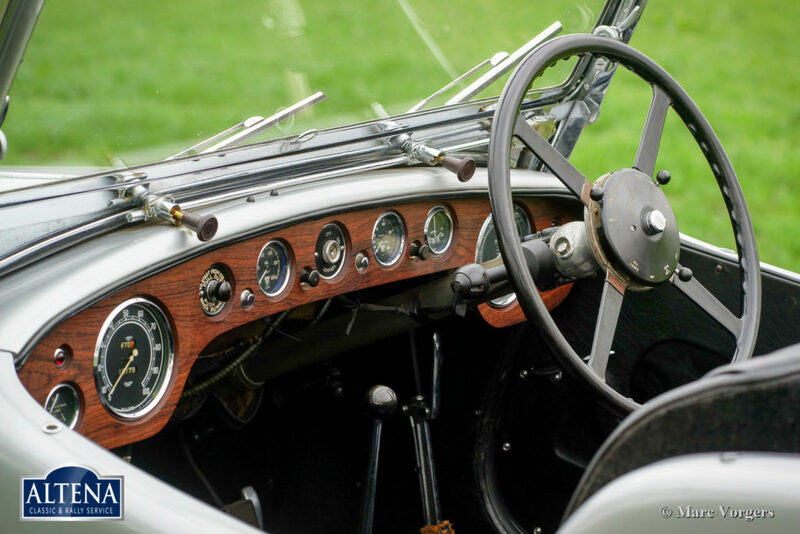 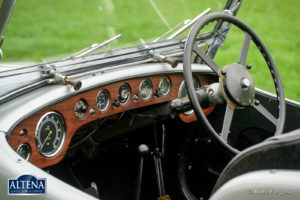 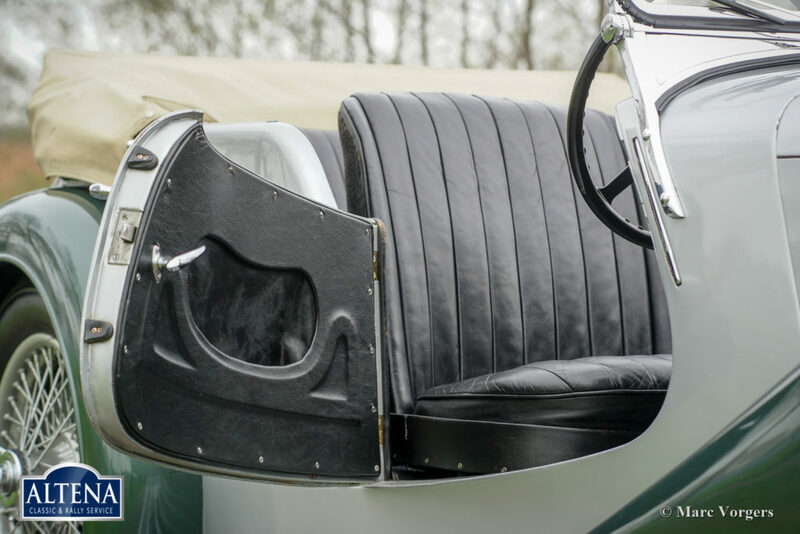 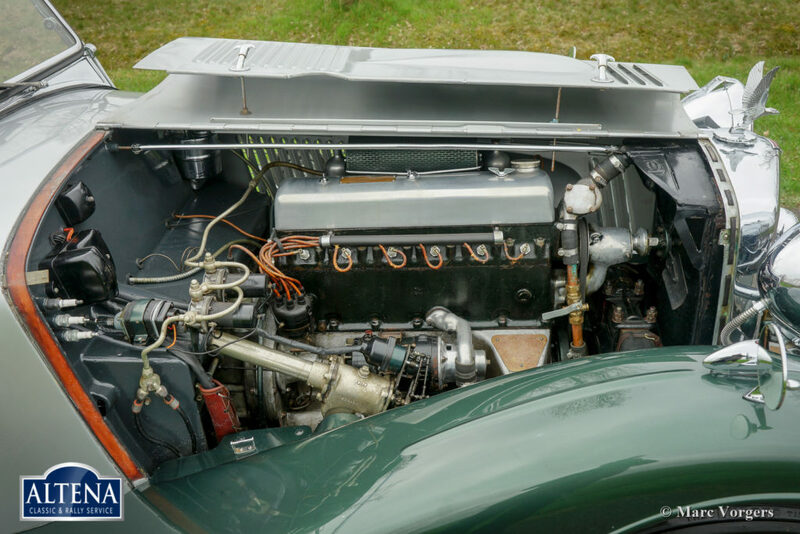 The Alvis four speed manually operated gearbox is fully synchronised and the car features a pneumatic brake servo, very modern features for the 1930s! Only 389 Alvis Speed 25 cars were ever build, only 110 examples are still known to exist today. 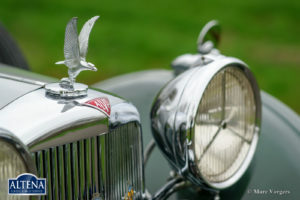 A splendid pre-war automobile!